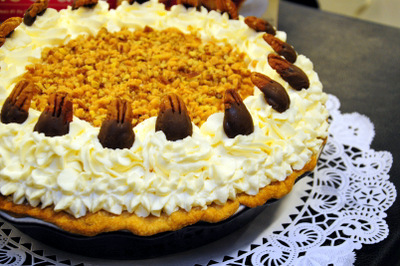 Judging at the 2013 LA County Fair: Ghirardelli Chocolate and Pillsbury Pie Championships! 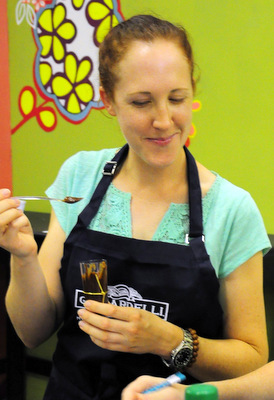 Last year, I served as a judge for the 2012 Ghirardelli Chocolate Championships at the LA County Fair, and I was happy to be invited back for another round of judging this year – who doesn’t want an excuse to taste dozens of chocolate dishes? 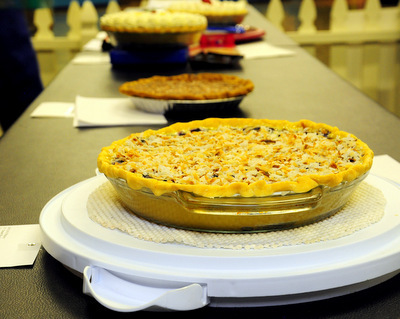 I also served as a judge for the Pillsbury Pie Baking Championships, a new contest to the county fair lineup this year. Both contests were held on the same day, so I prepared by eating a light breakfast so that I would have plenty of room for tasting each and every one of the entries. The chocolate championships were held first. Last year we had 40 entries, but the very hot weather kept a few away and we had less than 2 dozen to judge this year. But the competition was fierce despite the smaller turnout! The recipes are all judged on appearance, taste, creativity and ease of preparation, which means that we are given copies of the recipes to evaluate, as well as samples of all of the recipes. Each entry had to be made completely from scratch and had to use Ghirardelli 60% Cacao Bittersweet Chocolate Chips in the recipe. We had four judges and worked in teams of two, evaluating and discussing the recipes. 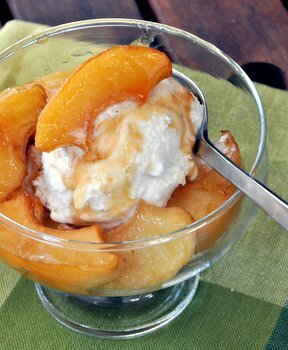 Generally, we first judged the overall presentation and appearance, then cut in to a portion of the dish to taste. After tasting all of the dishes, we compared notes to come to a consensus on the winning dishes. In the case of the Ghirardelli contest, we needed to pick four winners to receive cash prizes and huge Ghirardelli gift baskets. The dish that took first prize was a Chocolate Budino topped with Salted Caramel Sauce. It was a decadent combination that all the judges loved. The chocolate budino had a rich chocolate flavor and the salted caramel was the perfect match for it when you got a little of both in each bite. 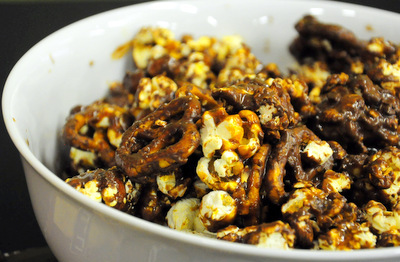 Second prize was a salty-sweet popcorn that featured homemade toffee, pretzels beer nuts, bacon and – of course – chocolate. 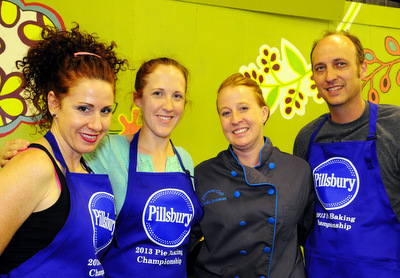 The Pillsbury Pie Championship was held after the chocolate contest and had both sweet and savory elements to it (which was nice for the judges who needed to give their sweet tooth a little break after the chocolate round). 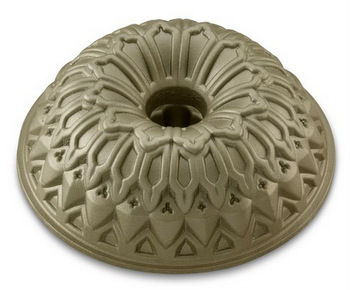 Entries were required to use Pillsbury Refrigerated Pie Crusts for their pies, but any size or shape of pie was permitted. 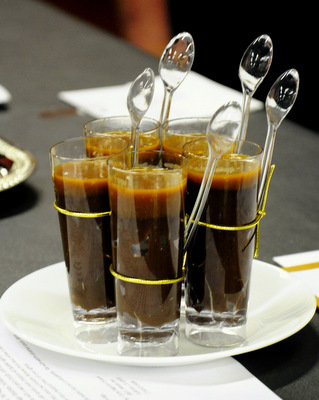 We judged creativity, simplicity, taste and ease of preparation, with special emphasis on the uniqueness and creativity of the recipe. Once again, we had copies of each contestant’s recipe to evaluate. 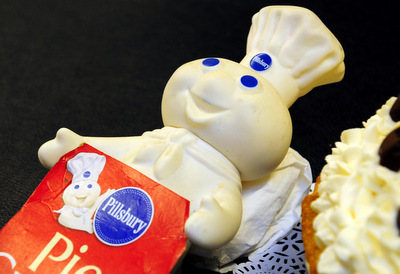 One contestant accessorized her entry with her lucky Pillsbury doughboy! Once again, we worked in teams of two to taste and evaluate each entry, discussing both positive and negative points. Overall, the pie entries were excellent. One of the biggest complaints from pie judges is when crusts are soggy or not completely baked, but just about every entry we saw had a thoroughly baked crust with a good texture to it! Our winning pie turned out to be a multi layered chocolate and pecan mousse pie, which was rich and light at the same time. The filling included toasted pecans, toffee bits and was spiked with a bit of pecan liqueur that give it a complex flavor that went very well with the chocolate elements. 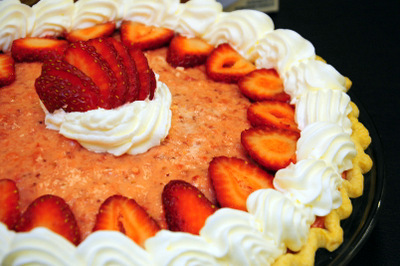 Second place went to a summery strawberry and limencello pie. Our winning savory pie (which may have been eaten before it could be properly photographed!) was a spin on a shepards pie that was baked in a cast iron skillet and made with shredded barbecue beef brisket and topped with layers of caramelized onions, mashed sweet potato, cheese and crispy onions strings. Judging is tough work, but it is loads of fun. At the county fair, we judge right in front of the contestants, so they can see the judging process and watch us at work. We always make note of how a recipe could be improved, because a lot of the contestants want feedback on what they could do better for future contests. 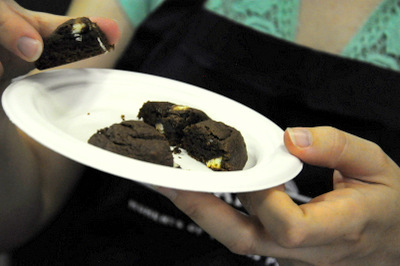 The recipes just get better and better – and I hope to be back next year to see what fantastic chocolate desserts, pies and other goodies the competitors come up with then!